Issue One On Sale Digitally! 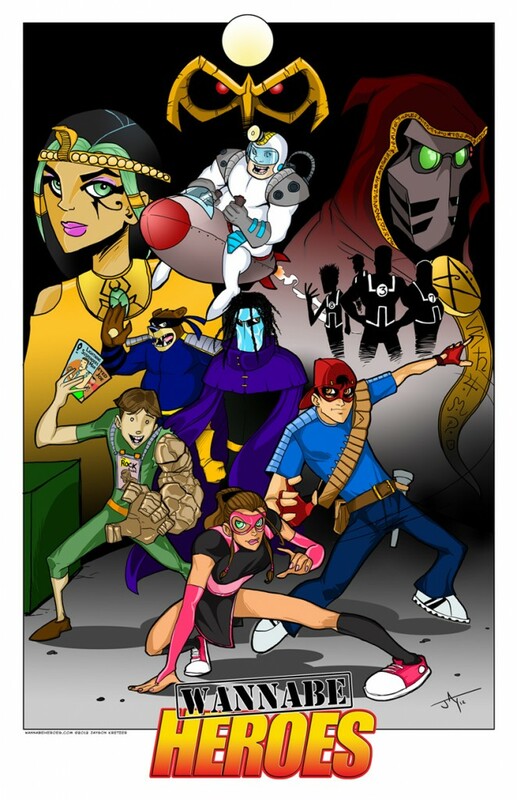 Wannabe Heroes is now on Comixology, so click the link below to get the first issue digitally! Comixology did a wonderful job with the guided view and it makes the comic even more exciting to read! If you get a chance to download it, please rate it and/or let us know what you think! Buy the digital version now! Many moons ago, four thousand forty-five moons to be more specific, I wrote the following two poems. During this time I was entrenched in H.P. Lovecraft’s work and I think it shows… too much. I figured for my own #Throwback Thursday, I’d force myself to share these poems so everyone can see that I wasn’t always this bad, there was a time when I was worse. *Interestingly enough, the first of the two turned out to be my first official published piece as it was picked up in a national horror magazine. dark corner of our universe. you almost forgot you had. maybe there is no light meant to shine in them. than Socrates, who knew nothing. curtains for the modern tragedy of the human race. 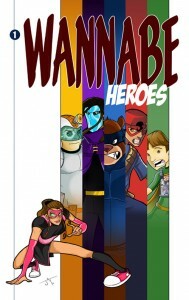 So our Wannabe Heroes Kickstarter is only 10 days away from being over and we NEED YOUR HELP! 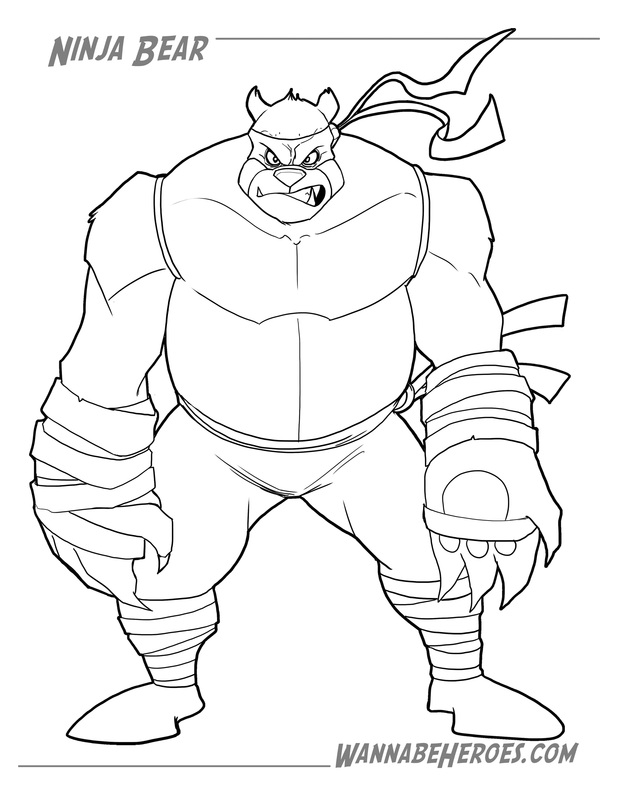 Head on over and pledge your support if you want or take a minute to download this Ninja Bear Coloring page and color it like there’s no tomorrow! 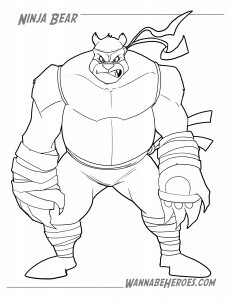 The deets: Once you have downloaded and colored your Ninja Bear (you can color by hand or digitally), simply email the digital file to us via the Wannabe Heroes Email! If you live close by, you can also drop off your colored pieces with me at Arena Comics on Free Comic Book Day which is May the 4th (Que Star Wars jokes here). 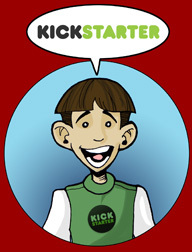 You don’t have to support our Kickstarter to be eligible for the contest, but it’d be a lot cooler if you did, man. DEADLINE: Sunset on May 6th, 2013! Click here to download file. Check it out, Shout it out to your friends or Support it! Any one of those is cool, All three is divine! If you’re like me, you may be wondering, “What gives? Why no new content on the website for awhile…? !” Well, sorry about that. We’ve been working pretty hard to revamp the characters and turn Wannabe Heroes into a full fledged comic book and good news, we have a 4-issue limited series already in the works! You may have seen us showing off a promo for the new comic at the Baltimore Comic Con and we have decided to start a kickstarter to help fund the first 4 issues of the comic (with loads of other goodies) in March. Please don’t completely give up on me as I really love drawing comics and these characters especially and I will do them justice when time permits. Take Care! In case you missed us at Baltimore Con, here’s a promo piece for Season 2. Hope you dig!